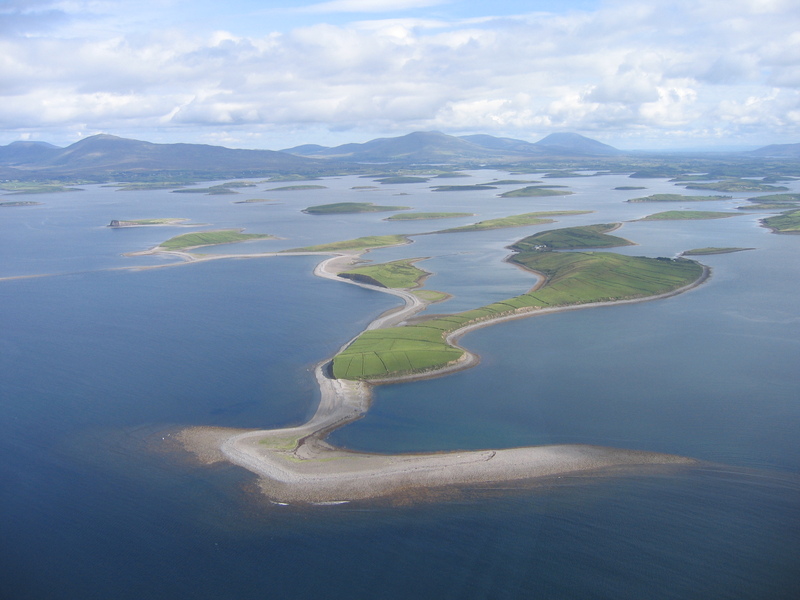 Studded with 365 islands and islets, the bay looked like it had been invaded by hundreds of green humped back whales. 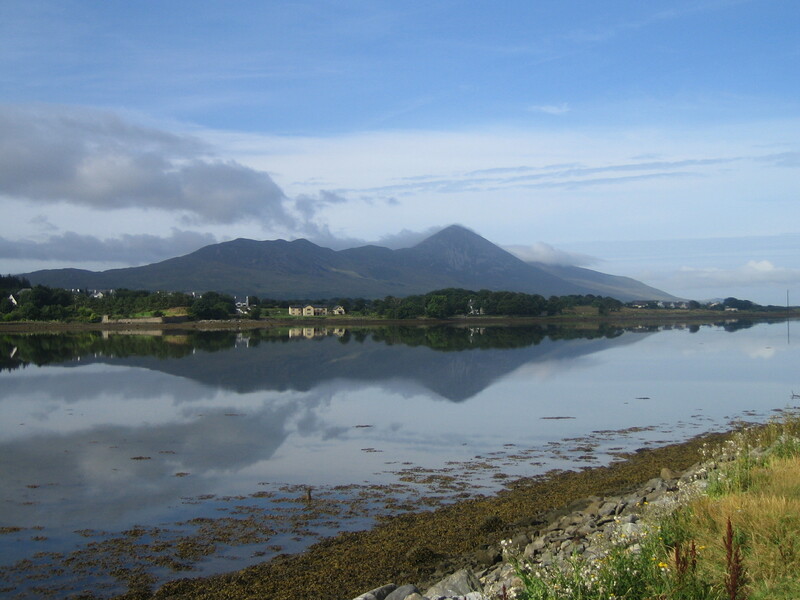 Behind, Croagh Patrick loomed, with hundreds of hikers, pilgrims and tourists trekking up the mountain’s trails like ants. It was a formidable and unforgettable sight. This year, I wanted to see Westport in its summer attire. Tucked in, off the bay, sitting on the banks of the Carrowbeg River, the streets are packed with neat, brightly coloured buildings. Hanging baskets brimming over with flowers welcome the hoards of tourists strolling the streets. 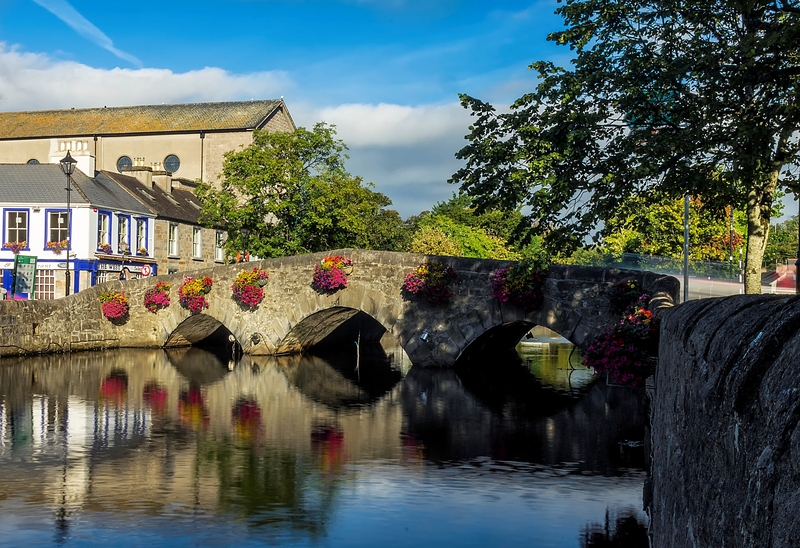 This is Westport at its finest; bright, buzzy and relaxed. You can’t help but smile. Within ten minutes of arriving we were browsing the shops, sneaking up side-streets and eyeing up menus in the many restaurants. First dining stop – Sage Restaurant. I’d eaten there a number of years ago and we’d enjoyed a tasty meal of bruschetta and pasta, but on this visit, they had a more sophisticated menu. 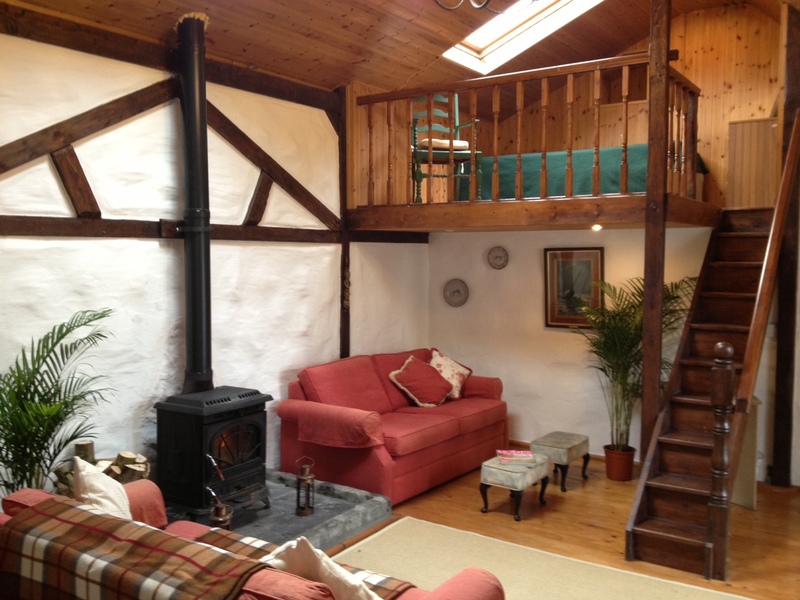 Cosy and relaxed, it was busy with couples and a few families. My sister would love it here. 95% of the menu is coeliac friendly. Having snacked early in the evening we opted for just two mains; Lamb and Hake. Neither disappointed; the lamb perfectly cooked medium-rare and the Hake dressed in a tasty cream sauce, served with delicious new potatoes. I eyed up the jug and asked our friendly server had they bought it locally. A local potter had made it, he informed me, and eagerly went in search of his card. We left content and determined to track down the jug! Many will have heard about Westport’s reputation as a stag and hen destination, but on my last visit, I’d not seen this side of the town. On this night, a Saturday, mid-summer, the streets were packed with gangs of girls sporting tiaras. Groups of guys, drinks in hand, eyed up them up as they passed. However, there is a pub for every occasion and every person. 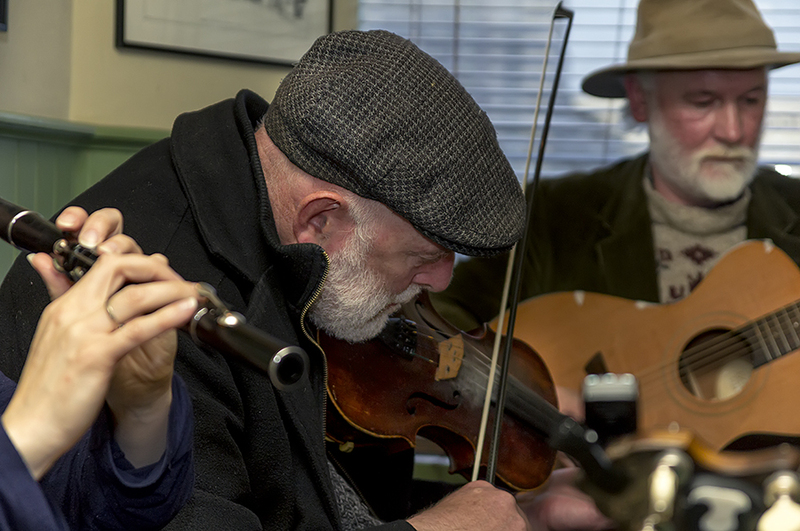 We found ours in P. O’Mara’s – live music played in the corner, customers were all over thirty and there was a fun vibe. God, I sound old. And boring. But we enjoyed it, that’s the main thing. The next day turned out to be Reek Sunday – 30,000 people climbing Croagh Patrick, which meant we would have to drive north, to avoid traffic. Yes, we should have hopped on bikes and travelled along the Great Western Greenway, but we opted for the car. That way, we could see where the path went and determine the best route for all those people who would be asking me. The path was busy with families and couples, young and old. Many cycle to Newport – a pretty town, with a sweet ice-cream shop – iCones and cafe – The Blue Bicycle Tearooms. 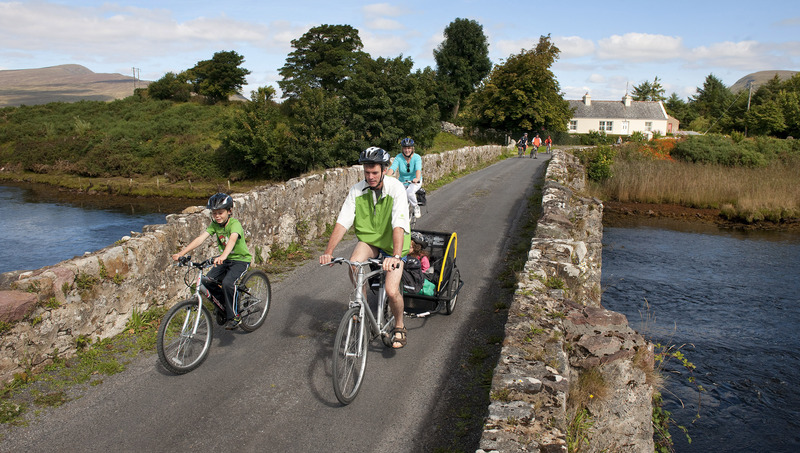 Alternatively, you can pick a bike up in Newport and cycle to Mulranny, or from Mulranny and cycle to Achill. The latter was very scenic and off the main road, through bogland. 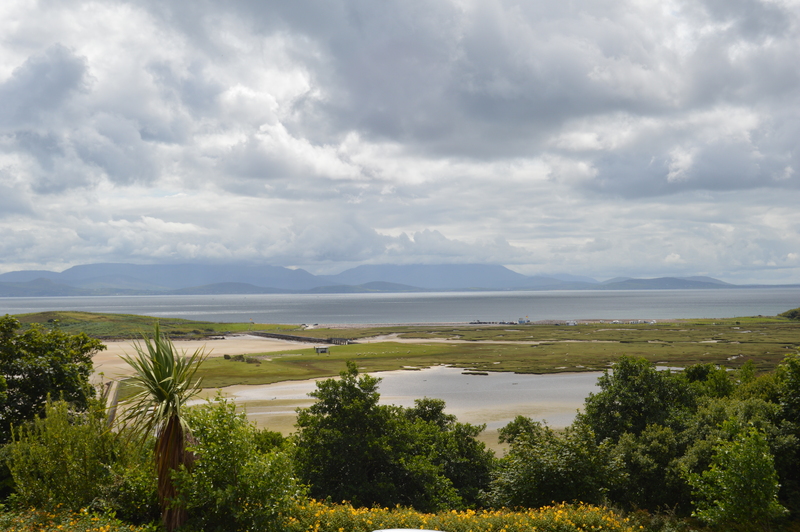 Our drive took us to The Mulranny Park Hotel for tea and sandwiches, served on the terrace with views across the bay and over to Croagh Patrick. From here it’s another 10 minutes to Achill Sound and it’s well worth making the trip to the island. Surfers and bathers tend to head for the beaches of the west coast, in and around Keel, but a drive around the island will lead you to some more remote coves and beaches. 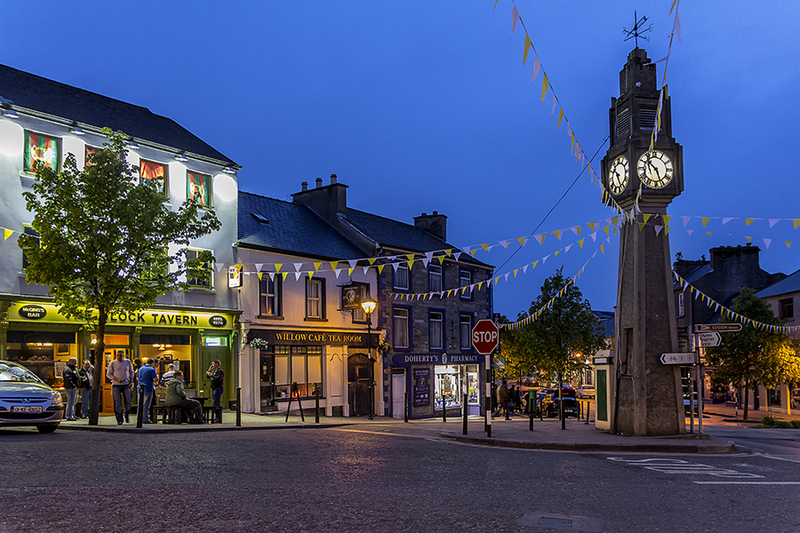 The thing about Westport, is there’s no shortage of things to do. 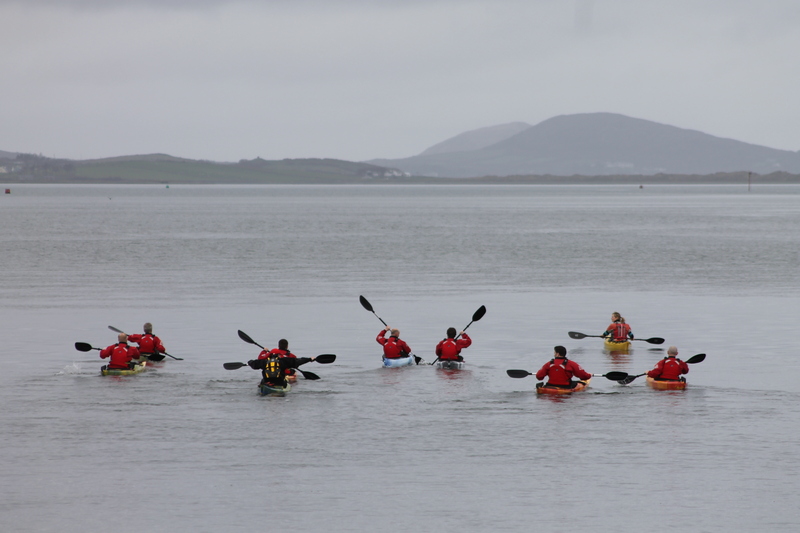 Climb Croagh Patrick, kayak around Clew Bay, cycle the Western Greenway, jump off cliffs, surf the beaches along the coast. The options are endless. 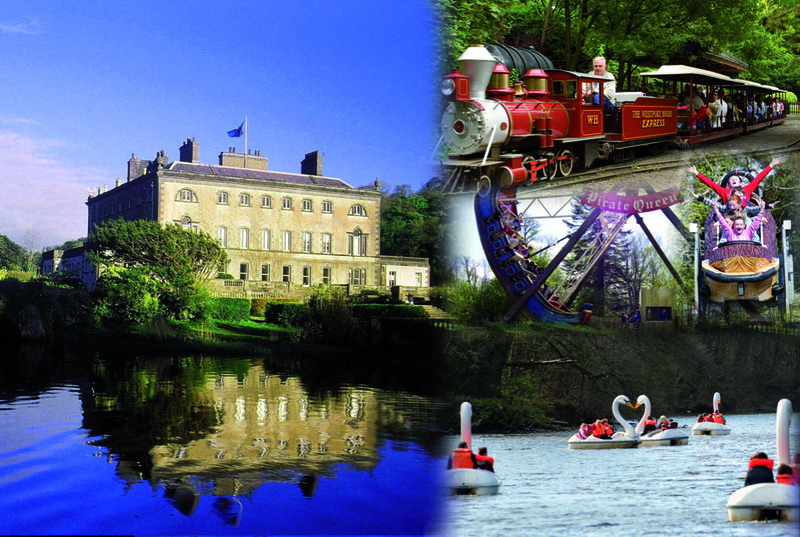 Families gravitate to the wonderful Westport House – replete with a pirate adventure centre, campsite and adventure centre. It’s not just for kids though, and on our last day we spent challenging ourselves on the Sky Challenge. Climbing like monkeys, balancing like acrobats and squealing like pigs! We then moved on to the Zipline and Zorbing with Adventure West – we ran like kids for our second go on the zipline and laughed hysterically in the big ball filled with water as we raced down a grassy hill. It brought me back to the days as a kid when we would go down waterslides. I could have done it all day long! From here we returned to town to have coffee and a sandwich and watch the world go by. I scoured the town for the pottery shop – Absolutely Pottery. 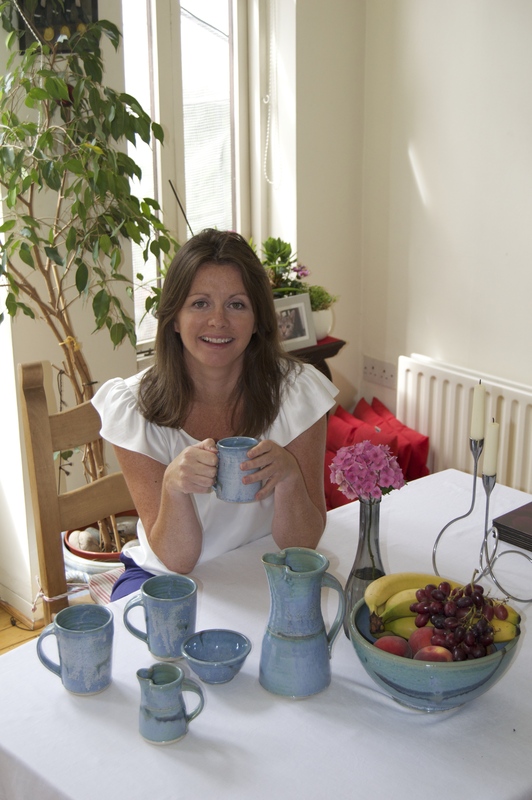 I went in to buy the jug and met with the potter who was so friendly and talented. Reasonably priced, beautifully made, I went in for a jug and returned with a set! I’ll have to head back for my dinner plates and more cups to complete the set! There is a buzz about Westport and warmth to those who live there. Friendly, smiling staff in restaurants, cafes and bars can be difficult to find in a busy town, but not so here. They seem to make sure everyone feels welcome and you can be sure you won’t get bored. I’ll be talking about my trip to Westport on Ireland AM on Tuesday, 5 August at 9.10am so tune in! Westport Woods Hotel – the hotel is located between the main town and Quay area, which we enjoyed as it made us go down to the Quays and explore that end of town, with the beautiful views over the bay. The hotel is ideal for families – children’s summer camps keep the kids occupied mornings and evenings, kiddie movies are played in the evenings, activities organised, you name it, they will do it. The Wyatt Hotel – right in the centre of town, The Wyatt is perfectly placed for those wanting to make the most of the buzzy town. Snacks are available throughout the day, it has a great bar – Cobbler’s Bar with live music at night and a restaurant serving a wide range of dishes. Cronin’s Shebeen – hidden a few minutes from the Quays, the thatched cottage has a traditional bar downstairs and a more modern restaurant upstairs, specialising in seafood. My seabass was delicious! The Willow Cafe – have coffee and a sandwich sitting on the square watching the world go by. Sage Restaurant – lovely evening restaurant serving excellent food is a relaxed and cosy atmosphere. I was told by locals that An Port Mor and Mangos Restaurant are very good! Great article thanks for sharing! It’s such a lovely town, hope to visit again sometime soon!